PUB CHAIN JD Wetherspoon has announced it will open its Camden Street hotel in early 2019. The €15 million investment will see 200 jobs created at the 98-room hotel. The company is set to start development work in February 2018, with the pub and hotel set to open early 2019. In the company’s first move into central Dublin it has bought the Camden Hall Hostel site on the street – one of the city’s busiest nightlife areas. Dublin City Council had ruled that a 244 sq metre ‘dining area’ and courtyard with tables and chairs be omitted from the plan. However, this has been overturned on appeal. 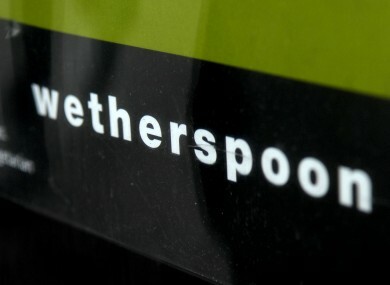 Wetherspoon chairman Tim Martin said: “ We are looking forward to developing the site into a fantastic pub and hotel. “It will be the biggest single investment undertaken by Wetherspoon and will result in our largest hotel alongside a superb pub. Residents of the area, however, are against the move. “The location of a super pub within a compact urban residential community is not acceptable,” said Colm Doyle, a conservation architect speaking on behalf of resident Peter O’Reilly. Doyle also stated that Camden Street was a designated market street, and so a mixture of retail, cafés and bars should be considered for the area. Email “Wetherspoon's announces its Dublin city hotel will open in early 2019”. Feedback on “Wetherspoon's announces its Dublin city hotel will open in early 2019”.